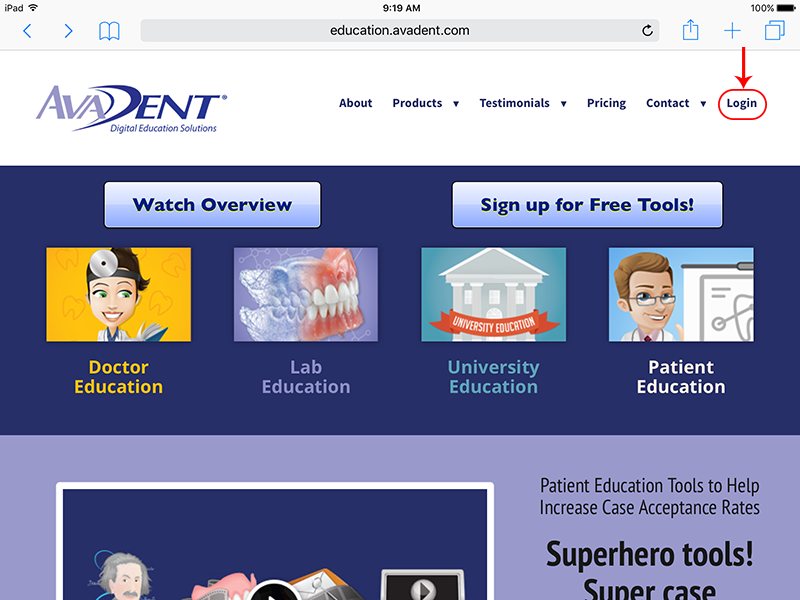 Do you have an iPad and frequently access AvaDent Digital Education Solutions through iPad’s Safari? Why not add a home screen button that directs you to the login page? Step 1 – Using Safari, navigate to the web site http://www.avadenteducation.com. Tap on the ‘Login’ navigation menu link in the top right corner. 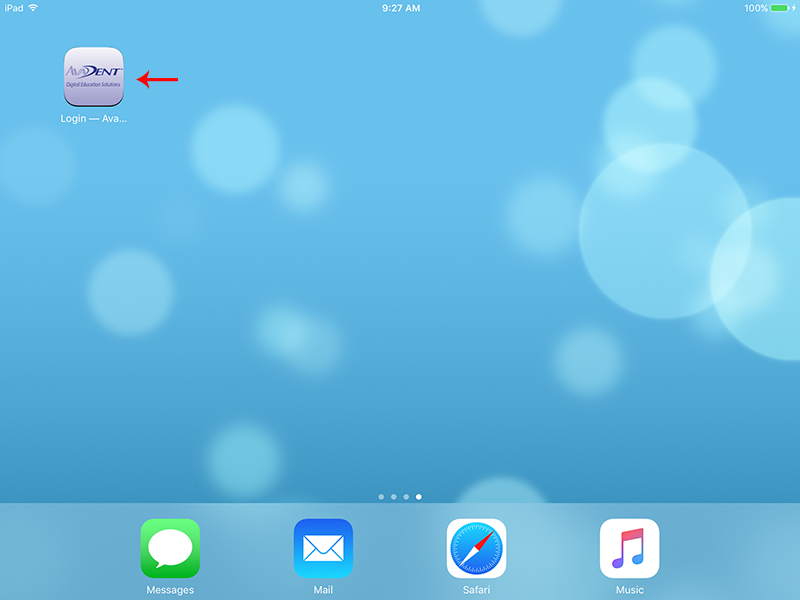 Step 2 – Tap on the ‘Share’ icon just to the left of the address bar – the one that looks like an envelope with an arrow coming out of it. Then tap on ‘Add to Home Screen’ on the popup you get after tapping the Share button. 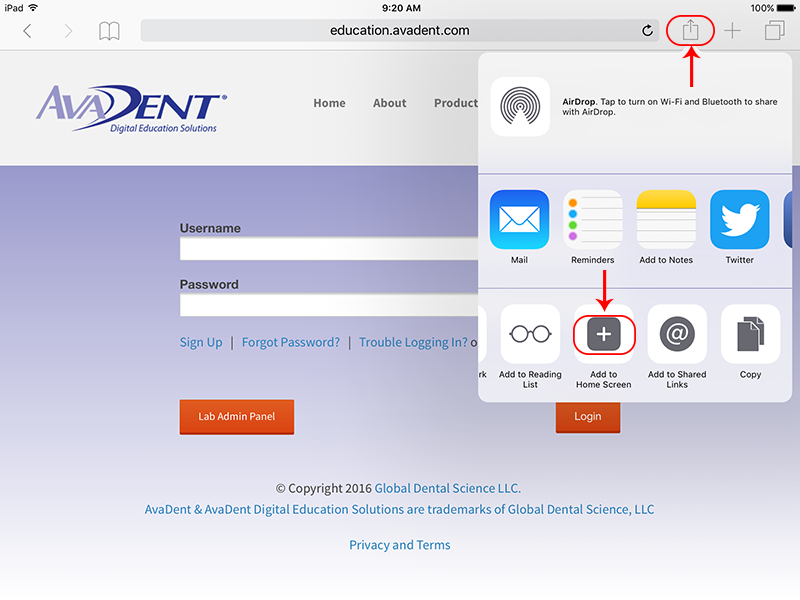 Step 3 - This will give you another popup, where you can accept the name for the new home screen button or edit it to whatever name you’d like for the site shortcut for Avadent Digital Education Solutions Login page. After you have named the Login page to what you like, tap on the ‘Add’ button. Step 4 – That’s it. You will then have a new home screen icon that will launch the site for you each time you tap it. Note: you can do the same on your iPhone’s Safari. 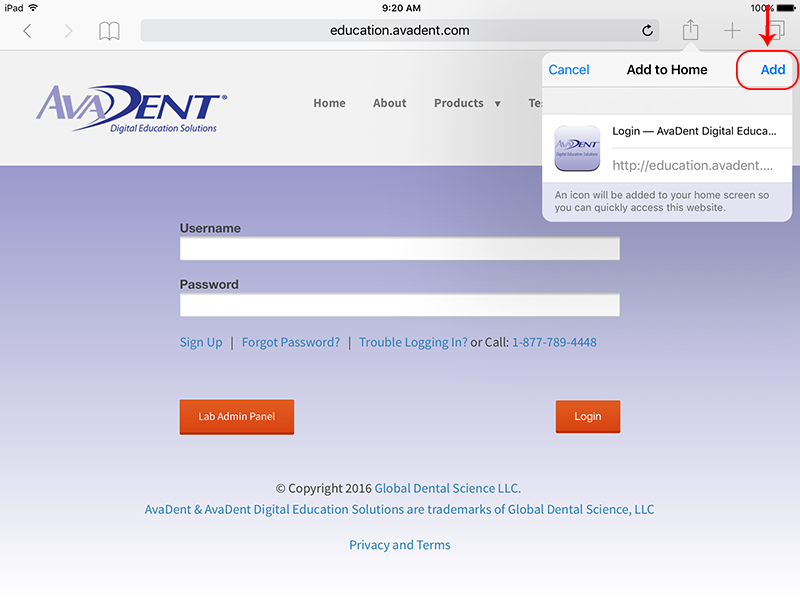 Follow the same steps as above to add a home screen button for Avadent Digital Education Solutions Login page.